Sliding smoothly across the glass area, the simplicity of the panel glide ensures it is easy to use and suitable for a variety of applications. 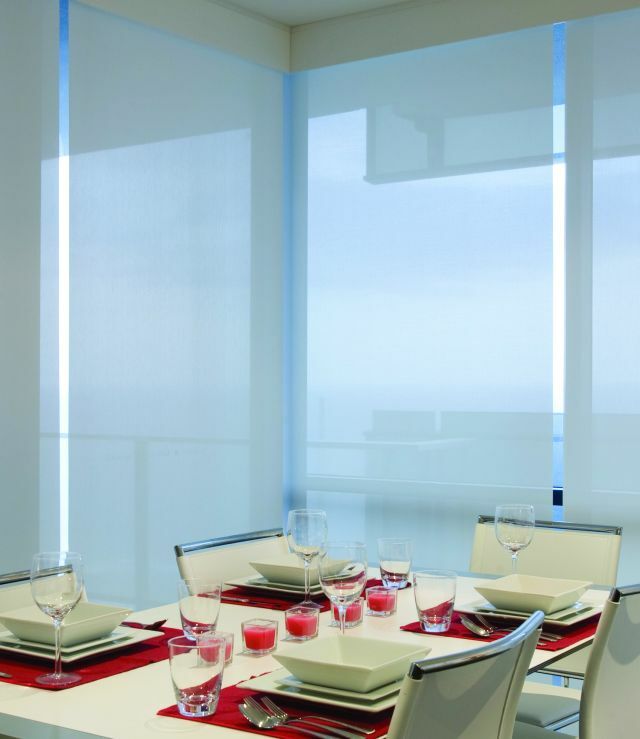 Compact, neat and tidy the panel glide utilizes very little space and will barely obstruct your view. The panel glide will perfectly accommodate all of your light, sun and privacy requirements. With several design options and a vast array of fabrics to choose from, the panel glide can comfortably sit within any decor style. Coordinate with a valance to enhance your panel glide and complete the look.